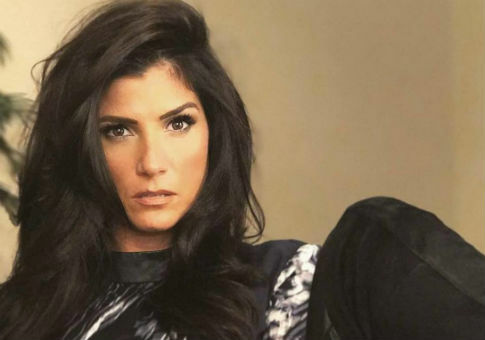 The founder of Moms Demand Action for Gun Sense in America, Shannon Watts, attacked conservative commentator and gun rights advocate Dana Loesch on Monday, saying that women like her live to "shoot thugs in the head." The National Rifle Association posted a video on its Twitter account over the weekend featuring Loesch discussing the importance of women speaking out and defending their families. "I'm a mom and just like millions of other women, that's why I own guns," Loesch said. "We're responsible, we're law-abiding, and we're everything that makes America strong. Every day we're willing to use a firearm to defend our families, but the media will never tell those stories." "If a mom puts a gun to the face of a home-invading thug and makes him run for his life, the story gets buried, but if she's unarmed and murdered, the cameras will be at the scene before the police," Loesch added. Watts mocked Loesch's appearance in the video on Monday and accused her of getting pleasure from "shooting thugs." Loesch responded to Watts' tweet by calling her an "insecure chick." Loesch also addressed gun control advocates in general and said that they have resorted to attacking her looks rather than debating policy. I love how gun-control advocacy has devolved into obsessing over and attacking my looks. I hold the power by living rent-free in your head. This entry was posted in Issues and tagged Gun Control, Guns, Women. Bookmark the permalink.